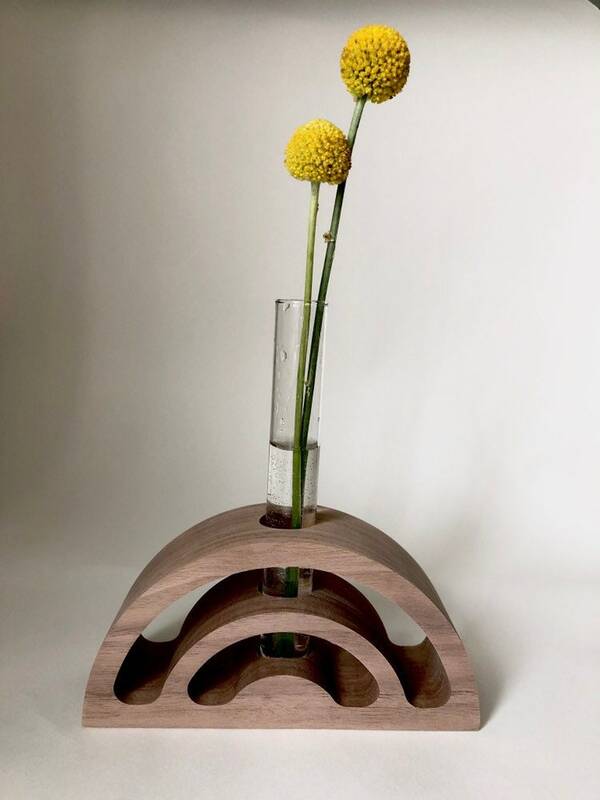 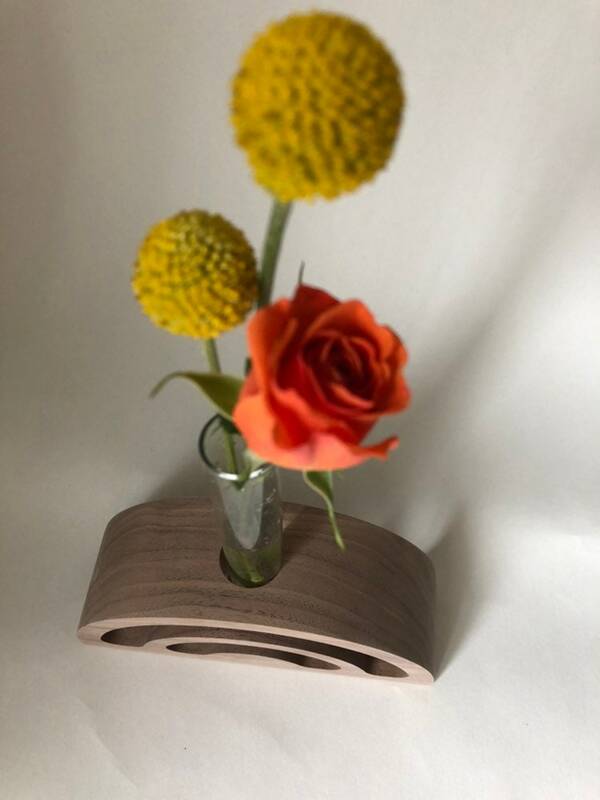 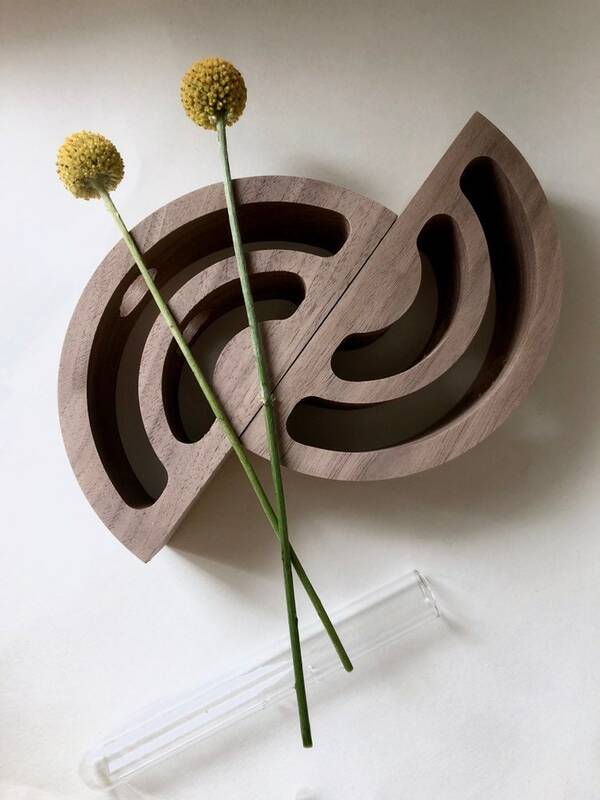 Our ARCS stem vase / bud vase is carved out of solid walnut hard wood and fitted with a glass tube for stems. 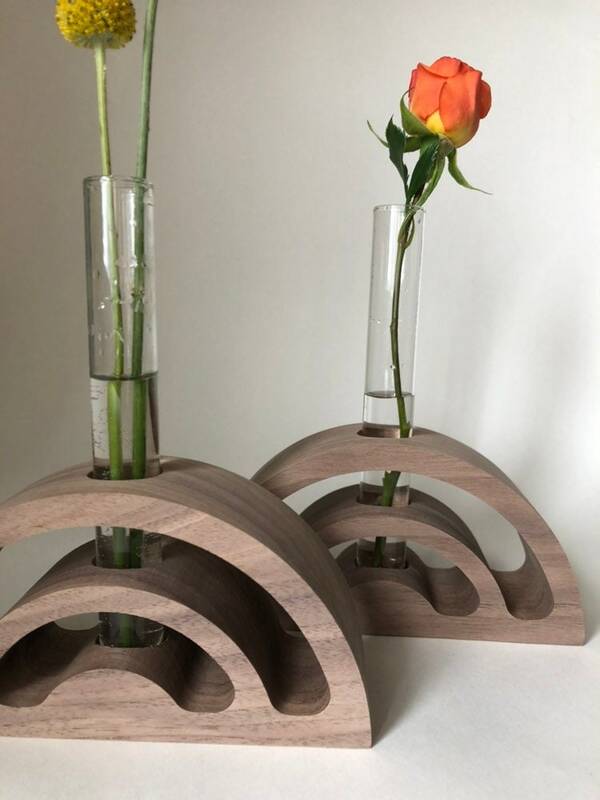 Just take out the tube and you have a candle stick holder - two functions in one great object. 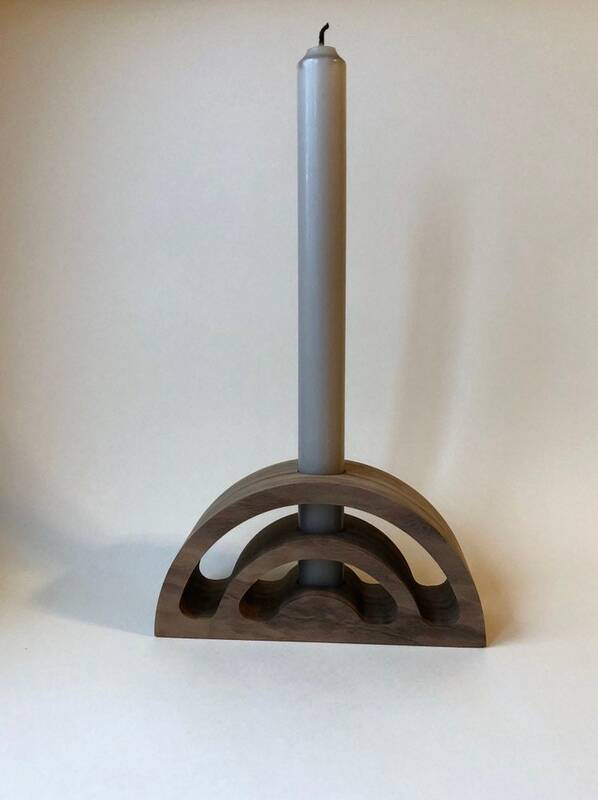 Fits standard straight and taper candlesticks.